✅ Trip Verified | Surabaya to Singapore. Bad airline, bad punctuality, not worth the price. Silkair has always prided themselves to be able to get the passengers to the destination on time. However after multiple times of boarding their flights, paying top dollars compared to other airlines, this airline is not worth the money. Cabin is at most average. It is clean, but it is not exquisite. Service is standard. But the biggest disappointment has always that they are late. ✅ Trip Verified | Flew SilkAir from Penang to Singapore. A very good airline with friendly cabin crew members. Foods and drinks provided on this flight are basic but it's still quite delicious and enjoyable to eat. ✅ Trip Verified | Flight was delayed initially from 9.15pm to 9.45pm, then became 10.15pm. No water or snacks given for the delay, only apologies. I chose Silk Air expecting to be punctual whilst other budget airlines serving Singapore to Penang route all boarded on time. Such a disappointment. Seat was ok and good enough for a short flight. SilkAir has no personal IFE. Cabin crews were not bad. Food is terrible, only a wrap with fruits (the real fruits are only 3 slices of watermelon while oranges are sweetened can ones). 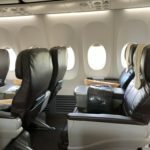 It is ok to buy this flight if there is a promotion, if not better buy budget airlines. ✅ Trip Verified | Singapore to Wuhan. In general the service is satisfied. However, I can't agree that it's value of money. The price level of SilkAir is almost as its parent company Singapore Airline, but the cabin service is too far away from what its price suggests. 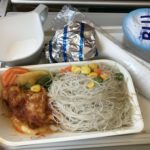 I ordered noodle in this flight and the taste was plain. The only memorable thing was they do serve ice-cream. And the seat space was as narrow as budget airline. I couldn't believe that's what a Singapore Airline full service subsidiary looks like. "fine for a short flight"
✅ Trip Verified | Singapore to Luang Prabang. Knowing ahead we had downloaded the SilkAir entertainment on our iPads as it would have been a boring 3 hr flight. We boarded efficiently and the aircraft left on time. Not so slick as their parent company Singapore Air, and the cabin felt old and basic however it was fine for a short flight. The refresher towels were cold and in a pack. We were given a meal, it was not very nice but that wasn’t important. We returned from Vientiane and again it was okay, Not special but we got there and returned with no stress.
" very slow but friendly"
✅ Trip Verified | Singapore to Male. Lounge in Singapore was very crowded, food choice was ok but quality not great. Very weak internet connection. Boarding was efficient. Very old and dated aircraft with old recliner seats, for almost 5 hours flight not great. Service was not convincing, very slow but friendly. Food ok but not really good, more like Economy Class food. I would choose them only if no better option available, hopefully they will invest when they integrate into SQ. "the flight was half empty"
✅ Trip Verified | Singapore to Kota Kinabalu. Early morning departure flight from Singapore, flight crew were on their first leg and looked fresh and cheerful. 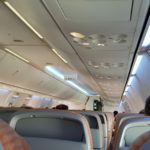 Going out on the Boeing 737-800 and the flight was half empty, hence was lucky enough to have the side seats free which no doubt contributed to the overall sense of luxury. 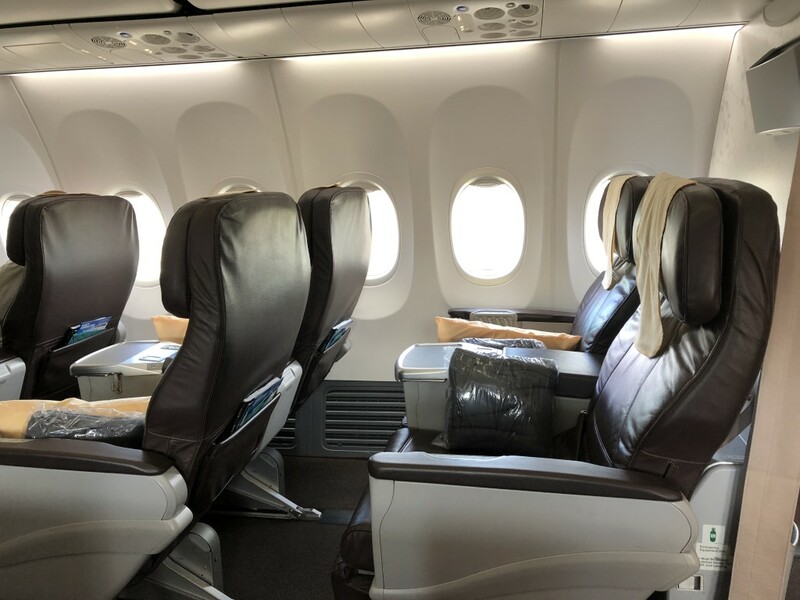 SilkAir B737's are decked out in an airy, light decor but the seats are a little bit spartan, with only the drop-down table and a large expanse of plastic moulding, which allows you to store any loose items you wish (and no doubt, forget about them when you depart). Legroom is adequate, if nothing to write home about, but certainly bit better than budget airlines, while the B737 is always a more width constrained than the A320. Pre flight service included face towels (disposable packets) and offers of newspapers. Despite a half full flight, they had run out of meal choices by the time they reached me, but small matter, the food was never going to be the reason to fly, anyway. Entertainment was via SilkAir Studio - bring your own electronic device, and stream via wifi. I was slightly amused to see that the music choices hadn't changed at all in the last 6 months, though I would guess that the movie options must have changed. The biggest downside is the limited toilet capacity at the rear - small, cramped, and if you are on a full flight, there will be endless queues. Not so on this flight, though, and we landed on time, uneventfully. ✅ Trip Verified | Penang to Singapore. A nice regional airline that shares the relative same standards or at least approach as its big sister, Singapore airlines. Cabin staff speedy and attentive. 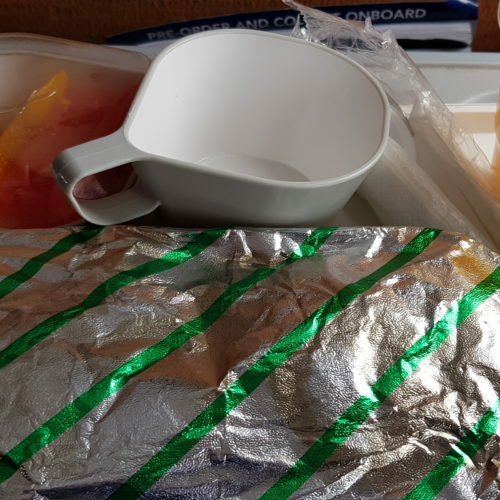 A small breakfast pastry and fruit with coffee served on a short hope one hour flight. Captain kept us updated particularly for those with short connecting windows. Planes a bit old and shabby but apparently large investment coming soon to this small airline. "non arrival of my bag"
✅ Trip Verified | Davao to Singapore. I have had no problem with Silk Air until 6 October when I was returning from Davao. The trip was fine as normal, however somehow my luggage, one bag, did not leave Davao airport in spite of checking in almost 32 hours before take off and seeing my bag complete with baggage stickers having been applied by check in staff and seeing the bag depart on the carousel. The non arrival of my bag at Auckland Airport caused me no end of distress as aside from clothing it contained my toiletries and important medication. ✅ Trip Verified | Based in Germany. 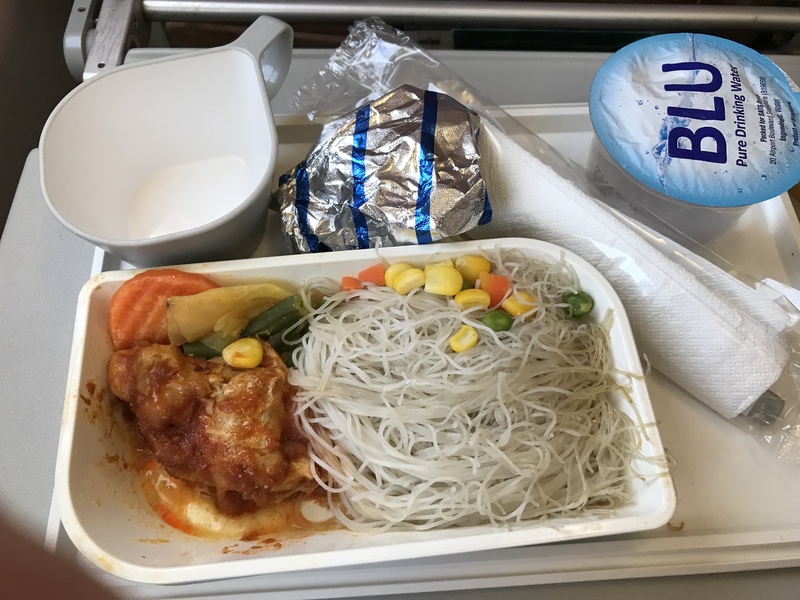 I flew with Silkair in economy from Phuket to Singapore on September 22th, 2018. For only one hour and a half flight (short haul flight), I must admit that I was really impressed about the very good service on board. We had two complete menus to choose and many kind of drinks for free. Enough space between the seats and the stewardesses was really friendly. Unlike for flights within Europe, I am no more used to that. We usually get at least a small sandwich or snack. By low cost airline, we need to pay extra if we want to get something to drink or eat. It was great pleasure for me to take this airline.